Here is a transcript of the speech I gave at the Michaela Debate at City Hall yesterday. I was debating the brilliant Tom Sherrington on the subject of personalised learning. Here is where videos of the debates will be posted in a few weeks’ time. I want to begin today by telling you a story about a boy called Jason. The list of needs was long and boggling. Weak social skills. Low reading and spelling scores. Low maths scores. Weak writing skills. Low confidence. Low self-esteem. Poor social awareness. Poor self-control. Poor concentration. Poor behaviour. The list of support mechanisms was even longer: a personalised curriculum that was heavily differentiated, differentiated vocabulary, different methods of recording his learning, targeted questioning, an individually designed literacy and numeracy programme, speech and language support… the list seemed endless. A few weeks later, I went to visit him at his primary school. She told me that Jason was not a happy boy and that his self-esteem was through the floor. He was poorly behaved, lacked focus and concentration. He struggled to remember things. He lost his temper easily. The conversation went on. She explained how she gives him different tasks and delivers lessons in diverse ways to suit his needs. She needs to go at a slower pace, otherwise, he won’t stay focused. She needs to plan strategically to fill in the precise gaps in his knowledge. Everything had to be highly personalised in order to help him learn. Jason requires a very unique approach because Jason is a very unique boy. In my head I compared Jason briefly to some of the other kids I teach. Kids like Emily who didn’t know what a triangle was when she started. Kids like Tyson who couldn’t sit still at first. Kids like Mohammad who didn’t learn the alphabet until year 5. All of them have various issues, granted, but Jason was by no means ‘weaker’ than any of these kids, nor was he any less capable than they were of meeting our standards. We don’t offer those children a ‘highly personalised’ approach because, even though they are unique people, they are not unique in terms of how they learn. And I suspected that Jason was the same. Personalised learning harms children like Jason because it is premised on the idea that every child learns differently. This leads to a multitude of different activities that aim to suit the child’s needs, but often overlook tasks that best suit the content being taught. For example, when teaching a novel, I might be tempted to give children different extracts according to their reading ability, or give the Jasons of the world a vocabulary bank to support them with the reading. I might ask them to read their extracts in groups or pairs and get them to look up words in the dictionary. But at Michaela, we choose not to do that. Instead, we choose to read the whole text together as a class, reading along line by line with a ruler, stopping to annotate new or unfamiliar vocabulary and practise new pronunciations as we go. 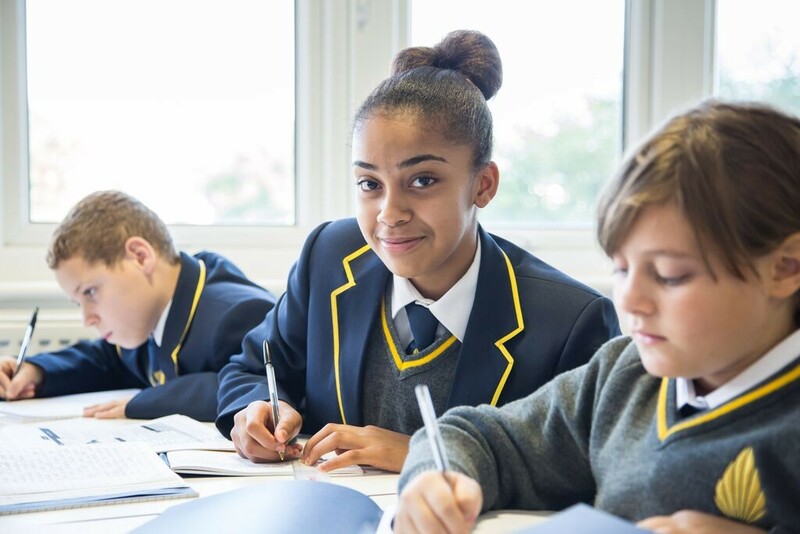 In Michaela lessons, everybody reads and everybody writes. That’s it. This is guided by the teacher – the subject expert, and pupils are expected to keep up. Personalised Learning harms children like Jason because it lowers our expectations and prevents us from really believing that they can achieve. There’s no escaping the fact that personalised learning necessarily requires creating different resources and teaching children in different ways. Not only is this inefficient and a huge burden on teacher time, and the weakest children miss out on the benefits of quality whole class instruction, but it is a clear statement that children like Jason are unable to access the same work as other children. Knowing that a child has a need of any variety subtly skews our view of them. Somewhere deep down, we think ‘well, that kid has x need, so he/she will struggle’. Some of you may be sitting here thinking ‘well I wouldn’t think that’, but we need to accept the fact that labels inevitably colour our view of the child. And our entire system is set up to encourage this. Ofsted inspectors and SLTs demand colour-coded, differentiated seating plans demonstrating exactly how we intend to personalise the lesson for the pupil premium kids, the dyslexic kids, the kids with behavioural issues, and so on. But this is harmful! It is harmful because it damages our expectations and prevents us from believing that every child really can achieve. At Michaela, we believe that everyone can do it. We believe that all children can access the same content if the teacher’s explanations and examples are good. CPD revolves around building teacher knowledge and determining optimal teaching sequences and concept explanations. And it works! 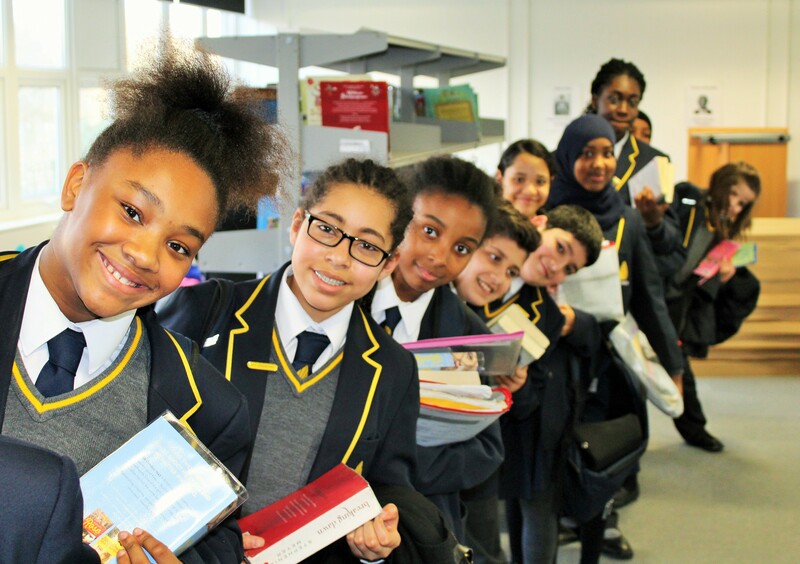 Last year, our year 7 cohort made an average of 20 months progress in reading in just 10 months. The average pupil made 5 sublevels of progress in English and Maths, and pupils with special needs made 6. I promise you- nothing was ever personalised for these kids. Not Jason, not Emily, not Tyson, not Mohammed, not anyone. In fact, the reason we achieved those results is precisely because we didn’t personalise learning at all! Instead, we prioritised whole class instruction where everybody reads and everybody writes. Finally, Personalised Learning harms children like Jason because it lowers the expectations they have of themselves. After all, if we don’t believe that they can achieve the same as their peers, then why should they? Giving children personalised targets puts a ceiling on their expectations of themselves. Whether it’s “I need to work on sitting still” or “I need to work on analysing language in more detail”, the kid thinks that that is what they should focus on that lesson. And learning targets, just like any targets in life, are damaging because they are all we end up aiming for. It puts a ceiling on children’s expectations of themselves. Since joining us in September, Jason has flourished. In his lessons, his teachers do not personalise his targets, set him different tasks, or record his learning in different ways. Instead, he gets consistently high quality, well-planned and delivered whole class instruction in a highly-structured, focused environment. He works at the same pace as everyone else in the class. He works at the same pace as everyone else in the class because actually, he isn’t that different to everyone else. Lots of his peers found the same things difficult that he found difficult. He made the same mistakes as everyone else and got confused when everyone else got confused. Because that’s how learning works: our minds aren’t so different, but if the content itself isn’t presented to us in the right way, we stand less chance of understanding it. Get the instruction right, and everyone can learn. And Jason has learned a lot this year. His reading age has improved by over 2 years. His behaviour has transformed. Where he used to lose his temper easily and end up in trouble often, he is now calm, focused and polite. He has made friends and earns lots of merits each week. He proudly wears a merit badge on his blazer for landing in the top 20 in the year group. Sure, some pupils may require a little extra time to really digest new stuff, but they don’t need different approaches because they are somehow more unique than other children, or learn in a different way to other children. We have mistakenly premised our entire system around the idea that each child is unique, when in fact they are not unique in terms of how they think or learn. Jason was far behind his peers, but that does not necessarily mean that he needs a personalised approach in order to make progress. And yes, it was hard for him at first. He did struggle from time to time. But isn’t struggle a good thing when you’re learning? Isn’t struggle something we should expose kids to from time to time, to help build their resilience? Isn’t that how we learn to persist when the going gets tough? Doesn’t it make us feel even more proud of our achievements if we have to struggle to reach them? Jason struggled at first, but he persisted, and consequently flourished. Ladies and gentlemen, I know that before today, many of you voted against this motion, thinking that personalised learning doesn’t harm children. And intuitively it does seem like it’s a bit unreasonable to suggest that personalised learning is ‘harmful’. But I ask you to think again and in particular, to think of Jason. Is it unreasonable to ask that every child is given the same access to the same curriculum at the same pace with the same high quality teaching? Is it unreasonable to ask that every child is pushed as far as possible every single lesson, every single day? Is it unreasonable to want the best for every child, to believe that every child can achieve? Every child can achieve, but it is precisely because we personalise learning that many in fact don’t. Every child can achieve, but the cult of personalised learning tricks us into believing that some children are less capable than they really are. Every child can achieve, and it is precisely because the system says that personalising learning makes things better that we actually make things worse. Ladies and Gentlemen, personalised learning harms children because it reduces our expectations, it reduces their expectations, and most importantly, it reduces their outcomes. Thanks to Tom Bennett, David Didau and Ruth Robinson for organising what was a brilliant event. I’d highly recommend looking into the work of James Murphy, Eric Kalenze and Dianne Murphy. I attended their talks yesterday and all three were totes amaze! When I began blogging in 2013, the argument that knowledge should be at the heart of the curriculum was readily rejected. The most common counter-argument was that rote learning of lists of facts was a waste of time as it would not lead to ‘deep learning’ (whatever that means) or understanding. Since that time, the debate seems to have shifted somewhat. Fewer people now argue that knowledge is irrelevant. Instead, critics argue that knowledge is just the beginning, or that we should somehow teach knowledge and skills simultaneously, or that a distinction between knowledge and skills is a false dichotomy (yawn). I’ve always been a firm believer in the power of knowledge. It’s one of the reasons I joined Michaela– where our motto is ‘Knowledge is Power’. Although I’ve always believed that a knowledge- rich curriculum could lead to great things, I had never seen it in action until I came to work at this school. Over the past year, I have come to see the impact that knowledge can have on a child’s ability to make interesting connections and links, and to analyse and evaluate ideas. At Michaela, all our children are expected to learn lists of facts by rote. This is still very unusual and there are many out there who criticise us for it. But time and time again, I have seen the value of learning such lists of facts. Not only do pupils genuinely enjoy knowing loads of stuff, this rote learning has proved to be incredibly useful when they come across new knowledge. They are able to make connections and inferences that someone who lacks such knowledge would simply not be able to make. I was reading through a biography of Percy Shelley with ‘Poseidon’- one of my year 7 classes and my tutor group. Many of the pupils in this class have reading ages far below their chronological age. More than half the class have Special Educational Needs. I explained that Rameses II was a powerful Egyptian Pharaoh. Within seconds, a forest of hands shot up. Slightly baffled, I asked one of the pupils to tell me what was wrong. I was stumped and couldn’t answer for this. It later transpired that there had been a typo in the printed version of the biography. Instead of 13BC, the date should have said 1213BC. Because I lacked knowledge of the date of the end of Egyptian civilisation (which the pupils had learned in Mr Porter’s History lesson), I would never have been able to spot the mistake. In fact, I would have had a completely incorrect understanding of Rameses II and the statue, which was over a thousand years older than I had believed it was. In this instance, a lack of relevant knowledge rendered me incapable of grasping an accurate understanding of the facts. I consider myself to be a relatively good ‘critical thinker’ (although I’m sure many readers may disagree! ), but my ability to think critically was useless in this instance because of the gaps in my knowledge. My pupils, by contrast, had been empowered by their knowledge. Consequently, they were in a far stronger position to critically analyse the text they had been given than I was. Rote learning is perceived to be a dull, mindless activity that leads to little other than parrot-like recall, but this simply is not the case. On the contrary, mastering lists of important dates is essential for critical thinking to take place.